Why wear Jayne Cobb's hat when you can dress as Jayne's hat? 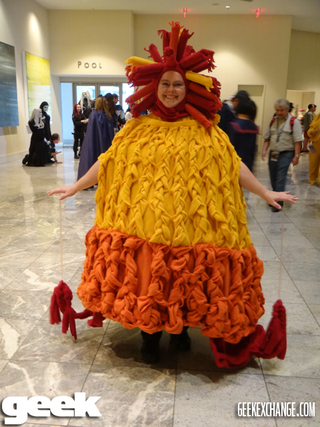 This clever cosplayer puts all of those Jayne hat-wearing Firefly fans to shame with her full-body Jayne hat costume. Pretty cunning, don't you think?